Essential oils have experienced a re-surgence in popularity in recent years. Whenever something is trending, people see dollar signs and jump on the bandwagon. As a result, there are so many people selling essential oils, each claiming theirs is pure and the best. The truth is some of these companies are really good. Others are owned by people who really don’t know what they are doing. Some sell adulterated oils—whether they know it or not. Don’t believe me? It takes a lot of plant material to produce essential oils. With soaring demand, supply can’t keep up. Suppliers either increase prices to reflect lack of supply (which customers don’t like) or they make the oil they have stretch a little further by various means (discussed below). 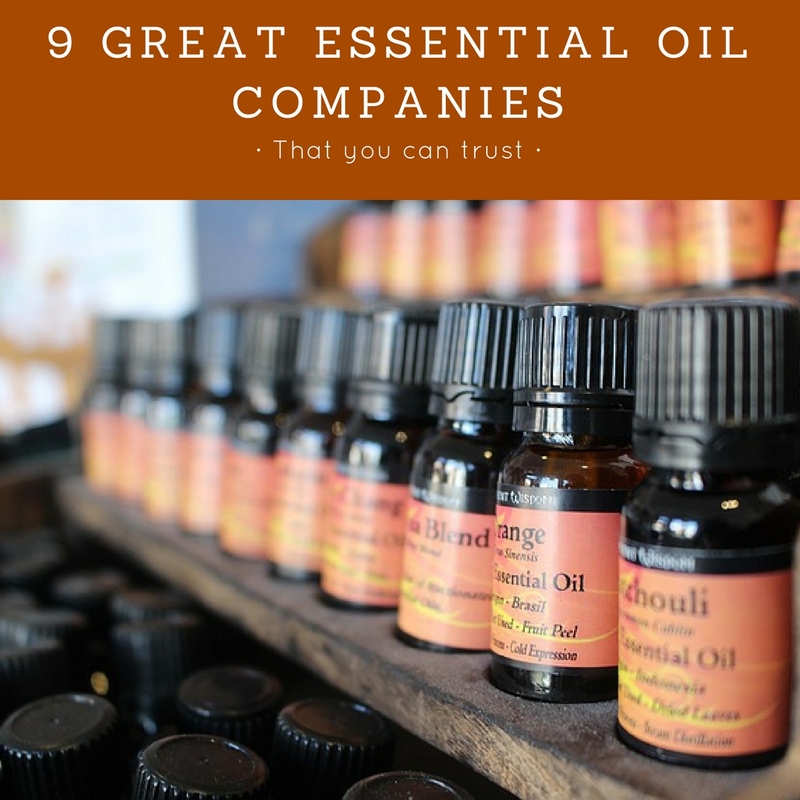 Give you a guide for what to look for when evaluating an essential oil company. Provide you with a small list of companies with a great reputation in the industry to get you started. There are lots of good companies out there that are not included in this article. When evaluating a new company, here are some questions to ask and things to look for. When you contact them, they should be able to answer your questions about their oils. You should get a sense that they know what they are talking about. They should stand by their products. We are all human and make mistakes. Once in a while a company may inadvertently buy a “bad batch” from a supplier. When that happens, they should take steps to remove that product from the market, and make it right with any customers that purchased it. As consumers, what we want is for a company to recognize the error and fix it. That shows integrity. They should disclose the exact botanical plant the oil came from. This is important because some oils have different varieties called chemotypes. 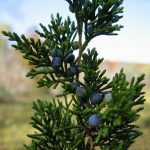 Rosemary is one example—two common chemotypes are Rosemary ct cineol and Rosemary ct Verbenone. Each has slightly different uses. An oil simply marked Rosemary does not give you enough information to know what you are getting. They should disclose the country of origin as well as the distillation method. They should be able to verify their oil’s purity with test results (e.g. GC/MS) It is important to note that while many consumers have been taught to ask for a GC/MS report, most will not know how to interpret it. A GC/MS is a report of the oil’s chemical makeup. In order to be useful, it needs to be compared to a reference GC/MS, which are hard to come by for most of us. 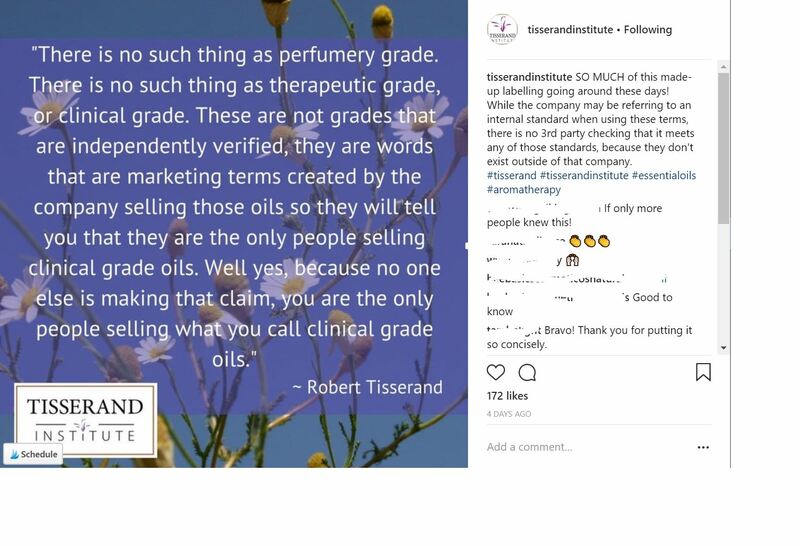 Therefore, while knowing the company is testing their oils is comforting, the results are somewhat meaningless to the consumer unless someone reliable is interpreting them for us. Note: A GC/MS can run around $200 per sample. Small companies may not be able to afford this on every batch of oil—but if asked they should be forthcoming that they haven’t tested their oils and why not. Ideally there should be an aromatherapist somewhere in the company, or the company owner or staff should be very knowledgeable about essential oils. Since in the U.S. all it takes to become a certified aromatherapist is to take a course that issues you a certificate of completion I am not too picky on this point. Someone who has extensively self-studied aromatherapy can be just as knowledgeable as someone with a certificate. Their website or their representatives should not offer you advice that is unsafe for the general public. In particular, this includes using oils undiluted on skin and ingesting oils. While there are a couple of oils that can be used occasionally in their undiluted state (e.g. Lavender), this should be reserved for a specific reason and not a regular practice. Likewise, qualified aromatherapists may advise their clients to ingest oils for specific reasons, but this is a decision that should be made by an aromatherapist working directly with a client. The general public should not be encouraged to self-treat with essential oils in specialized ways. Their bottles should contain 100% of the oil on that label. In other words, we want pure, unadulterated oils. The word “pure” on essential oil bottles means about as much as the word “natural’ on our food products. It is not a term that is regulated or has any defined meaning by any national association or government body. What we want pure to mean is that the bottle contains 100% essential oils from the plant part. What could make an oil un-pure? Essential oils are made up of several components with names like linalool, carvacol, eugenol, etc. Plants can produce oils with varying proportions of these components from year to year. Fragrance companies however want their scents consistent from year to year so suppliers may add in components in order to achieve an ideal proportion of components. An example of this is Lavender 40/42 (read more about what this is). These additions may be from natural or synthetic sources. Expensive oils may be blended with cheaper oils to bring down the price to a level acceptable by consumers. Oils may be diluted with vegetable or mineral oils to stretch them. A label could read 100% pure essential oils and not actually be pure. As mentioned, an oil can be mixed with an inferior oil and still be 100% essential oils. Also, two oils could be blended to pass as another oil. Melissa (lemon balm) is an extremely low yield plant and true Melissa oil is very expensive. Lemongrass and citronella are often blended and passed off as Melissa. Technically, what’s in the bottle is 100% essential oils, but is not the oil it is labeled as. While many essential oil enthusiasts are aware of GC/MS testing, there are actually several tests and evaluations that can be used to detect adulteration. For an extensive look at adulteration practices in the essential oil industry see this article . Quality is difficult to quantify. Detecting quality to a certain extent comes with experience. For those with the experience to detect quality, it is usually a nose thing that comes from smelling lots of different oils. What can cause an oil’s quality to vary? Let’s take an example from the food world again. We all love a nice glass of wine (well, I do). The same wine can vary from year to year—you have probably heard vintners or wine enthusiasts talk about “a good year” or a good vintage. The soil, rainfall, early warming, late cold snaps—all of these things affect grape crops and therefore the wine made with them. The same happens with essential oils—when growing conditions vary, the oil extracted from those plants can vary in quality. Quality can also be related to location. For example, French and Bulgarian lavender is highly regarded. Lavender grown in Idaho will not be the same. Certain parts of the world are ideal for certain plants. The growing conditions influence the chemical makeup of the oil. Finally, quality can be related to distillation. I am not a distiller, but I know that how long you distill an oil affects the quality. Some companies will opt for longer extraction times to get the most essential oils out of the plant material. Price and quality are not always related. There are some good companies with very reasonable prices, and some so-so companies with expensive prices. As a general rule, more expensive does not always mean better quality (though it can). But, too cheap is almost always a red flag. As you shop around for a particular oil, you should get a feel for the average price and if something is too cheap, that should raise alarm bells. Nature’s Gift has been around for 20 years and is owned by Marge Clark. She started out fascinated by essential oils and ended up creating a business around it. She is very knowledgeable about her oils and can often be found contributing to aromatherapy groups on social media. While many companies source their oils from the same few distributors, Marge makes a point of dealing directly with producers. This means her oils are directly from the source, and different from what you will find elsewhere. Most people who try her oils are converted—when we talk about quality being a little hard to quantify, almost everyone can tell that her oils are good quality. Nature’s Gift also favors oils that are organic or wildcrafted. Wildcrafted means that the plant was allowed to grow in its natural state (not farmed). We really can’t find too much wrong with Nature’s Gift other than this is one case where quality and price do correspond. You will get a quality oil, but it will not be the cheapest. That said, the company will provide samples with an order if you request it, so you can try out other oils before you buy. Nature’s Gift is a woman owned company. Sunrose Aromatics has been around for about 19 years and is owned by Rosanne Tartaro. Rosanne has extensive education in all aspects of aromatherapy including safety, distillation, and usage. She sources her oils from producers and is another company that inspires customer loyalty. Her oils are GC/MS tested and she carries a wide assortment of organic and wildcrafted oils. She also stocks several exotic oils which are valuable to the home perfumer. Sunrose carries single oils, blends, and a wide array of aromatherapy accessories. They also offer wholesale pricing to businesses. Sunrose Aromatics is a woman owned company. Original Swiss Aromatics is owned by essential oil expert Kurt Schnaubelt. If you are up for a slightly more technical read, his books are excellent. He is also the owner of the Pacific Institute of Aromatherapy, which offers a home study course in Aromatherapy. Both have been around since 1983. The main mission of OSA is to provide truly pure and authentic essential oils. The company defines that as oils just as nature gave us: nothing added and nothing taken away. They do GC/MS test their oils, although they value relationships with the producers they source from as the most important safeguard against adulteration. Original Swiss Aromatics is another company with loyal fans and an excellent reputation in the industry. They carry several rare oils, but once again, their prices may be prohibitive for some. After telling you price and quality don’t always correlate, I start out this list with 3 companies where they do. So, let me give you a company that offers good oils as reasonable prices. Plant Therapy is the new kid on the block compared to some of the others on this list, but has quickly amassed a loyal following. Their mission is to provide quality oils at affordable prices. Their oils are all labeled with a batch number and each batch has been tested by GC/MS as well as passing by the nose of essential oil expert Robert Tisserand. Tisserand has also worked with the company to develop a KidSafe line of essential oils which helps take the guesswork out of which oils are safe for your little ones. Plant Therapy maintains a staff aromatherapist to help customers with questions, and they also have an active Facebook Group to discuss aromatherapy. They offer a moderate selection of organic oils, but you won’t find the rare and exotic here. This is one of the few companies on our list that sells their oils on Amazon in addition to their own website. This is one of the few essential oil companies selling on Amazon that I trust. Eden’s Botanicals has existed for over 30 years. While they are primarily a wholesale company, you can buy their oils in consumer quantities. You can also order samples of most of their oils for a nominal fee. The company has two aromatherapists and an herbalist on staff. They partner with producers around the world to bring us over 250 oils, many of them unique and exotic. They offer organic oils as well as absolutes and extracts. Most of the companies on this list operate online through their website. If you like to buy your oils in person, AuraCacia is a solid choice. As part of Frontier Co-Op, their products are available in many natural grocery stores. They began in 1982, and joined with Frontier in 1993. Their mission is to source sustainable products and they do test every batch of oils. AuraCacia is another good quality oil at a reasonable price. They offer a variety of blends and prediluted aromatherapy products such as roll-ons and room sprays. If you are at all interested in natural perfumery, you must check out White Lotus Aromatics. They source a variety of essential oils, extracts, attars, absolutes and other natural essences. 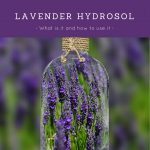 Their website has great information about natural fragrances and they carry many products that are hard to find elsewhere. White Lotus is owned by a husband and wife and they do almost everything themselves. They state that this allows them to maintain relationships not only with distillers, but also with customers. White Lotus is a wholesale company and as such they have a $100 order minimum. Also, if you are in WA state, you must provide a resale license. They do allow you to purchase up to 10 samples without ordering $100 worth. It is worth noting that because they are a small company and purchase in small quantities, their stock changes from time to time, and it is cost prohibitive for them to do batch specific GCMS. They do have Certificate of Analysis available. UPDATE: White Lotus is going to be reducing their selection of oils in 2017 to focus on the extracts and essences that they specialize in and are hard to find elsewhere. Whenever someone asks where the best place to buy essential oils in Canada is, Rae Dunphy invariably comes up. They are one of the oldest essential oil companies in Canada (since 1988). Rae Dunphy herself passed away in 2013, but worked as an aromatherapist and herbalist since 1974. She studied under essential oil authorities Kurt Schnaubelt, Marcel Lavabre, and Daniel Penoel. Many of the oils are wildcrafted or organic, and their True Essence oils are sourced from small family operations. While the company is located in Canada, they also ship to the United States. The Essential Oil Company was established in 1977. They source their oils from distillers and growers worldwide, as well as distill some of their own oils. The have earned the trust of medical and alternative medicine providers as loyal customers. The company offers both organic and conventional oils, blends, and a variety of aromatherapy accessories. You can also find materials for soap, candle, and perfume making. Company owner Robert Seidel is known as the Guerilla Distiller. He carries distilling equipment both for the hobbyist and industry alike. Their microwave distiller is a novel introduction to home distilling. When he is not distilling his own oils, he is traveling the world visiting his suppliers, which allows him to keep a strict eye on quality. Want to know about a company not on this list? I highly recommend the Facebook group Real Aromatherapy Reviews. They have several years of reviews and opinions from users. 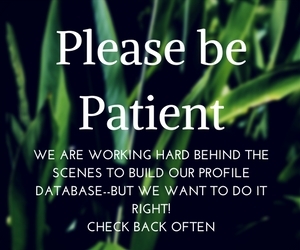 Search through their posts, or check out the files to find out more about a ton of different companies. So, with every list like this there are going to be companies that we missed. Did we miss your favorite? Let us know in the comments who they are and why you like them. What about Bulk Apothecary (https://www.bulkapothecary.com/)? I have found them to uphold all the criteria you listed. They have high quality oils. I’d love to see how you think they stack up.
. I have added the name of a very helpful Facebook Group to the end of the article where you can search posts for other user’s opinions on various companies, they also have some great documents in their files summarizing years of discussion in the group. Unfortunately what’s said in the group stays in the group so I can’t share anything here.